The Cumbrian town of Cockermouth witnessed a horrific flood on Friday evening, despite a £4.4m scheme built in 2013 to prevent such devastation. Residents hoped that never again would the town fall victim to extensive flooding, like had occurred in 2009. The scheme, which included breakthrough self-closing flood barriers, was no match for Storm Desmond. The Environment Agency claimed that the flood defences did work, but the amount of rainfall and water in the river topped them. 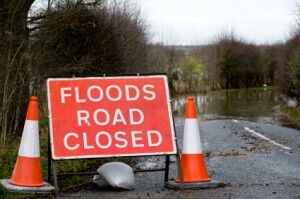 Alison Baptiste, director of flood and coastal risk for the Environment Agency, stated that the damage was serious “it is not just the number of houses and the economic activity in an area, but also the impact on infrastructure and the risk to life”. She further went on to suggest that the defences could be built higher and higher but it would mean that the community “would not be able to enjoy the river… which most of the time is flood – free”. It was recorded that Honister in the Lake District received 13.4 inches of rain in a mere 24 hour period, a record breaking statistic. This caused a large quantity of water from the hills to enter the river systems, completely overpowering flood defences. New methods of flood defences are currently being explored, including ‘natural flood management’ which involves reducing the flow if rain water from hills into rivers, decreasing tension on defences further downstream.